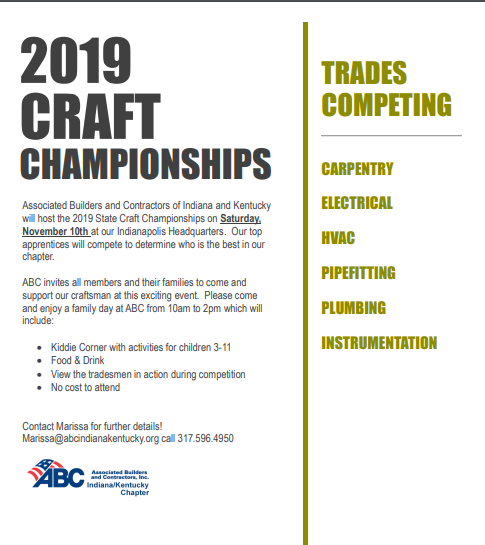 Join Us for the 2019 Craft Championships!! We appreciate the support of all of our amazing members! 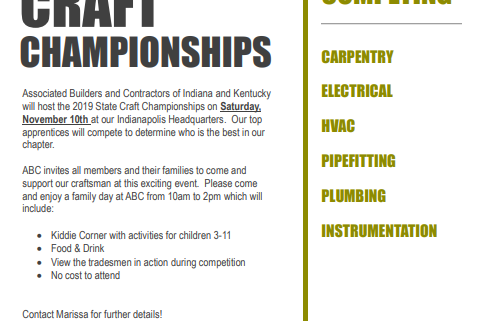 http://www.abcindianakentucky.org/wp-content/uploads/2018/10/craftchampionships2018.png 545 485 Admin_ABC http://www.abcindianakentucky.org/wp-content/uploads/2016/02/New-ABC-indiana-logo-with-glow-300x96.png Admin_ABC2018-11-02 21:50:462018-11-02 21:51:20Join Us for the 2019 Craft Championships!! So how do you cut through all of the political posturing to make a meaningful difference when the November elections come around? You want your voice heard, but you are not sure what the legalities are. You may question, can I talk to my employees about political matters? Short answer: You cannot direct employees who to vote for or against. Period. BUT you are not helpless. ABC is here to help. I recommend two new websites just released for the very purpose of educating our members. ABC Votes is intended for you and your management team (the restricted class of your company). It contains everything you need to make an informed decision on Election Day-Including Do’s and Don’ts for communicating with ALL of your employees and the candidate’s positions on the issues that impact our industry. You can also customize the WeBuildAmerica website to include your company logo and personalize their experience. WeBuildAmerica is ABC’s brand new online (and mobile friendly) election portal intended for ALL employees of your company. It focuses more on the importance of voting, how and where to do so—there is even an intro video to help articulate that message. In our world today, everything is politicized. ABC coined the phrase many years ago. ‘Get into Politics or Get out of business’. What that means is that the rules that govern how we do business comes as the result of the political/governmental process. Elections matter. They determine who the decision makers are that govern. The forces against free enterprise and our way of doing business are even stronger. So, no matter how much you don’t like the political happenings in our world, we cannot sit on the sidelines. No other organization fights the political battles for your company like ABC. 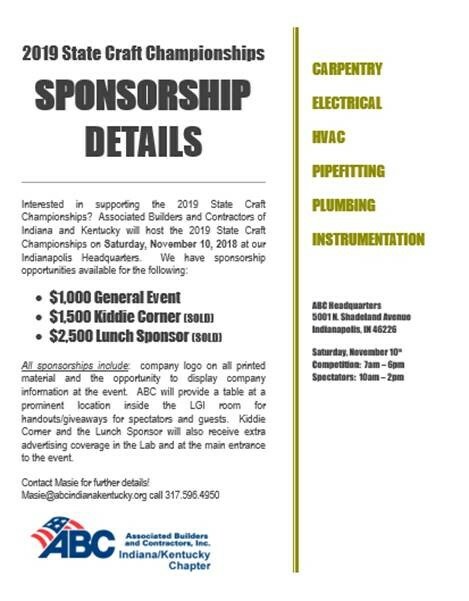 2018 Award Winner – Brandt Constuction, Inc.
http://www.abcindianakentucky.org/wp-content/uploads/2018/10/DK-Pierce-Brandt.jpg 683 1024 Admin_ABC http://www.abcindianakentucky.org/wp-content/uploads/2016/02/New-ABC-indiana-logo-with-glow-300x96.png Admin_ABC2018-10-24 05:43:262018-10-24 05:47:502018 Award Winner - Brandt Constuction, Inc.
2018 Award Winner – Dilling Group, Inc.
http://www.abcindianakentucky.org/wp-content/uploads/2018/10/Volkswagen-Dilling.jpg 683 1024 Admin_ABC http://www.abcindianakentucky.org/wp-content/uploads/2016/02/New-ABC-indiana-logo-with-glow-300x96.png Admin_ABC2018-10-24 05:22:532018-10-30 22:32:522018 Award Winner - Dilling Group, Inc.
2018 Award Winner – Excel Services, Inc.
http://www.abcindianakentucky.org/wp-content/uploads/2018/10/Rabbit-Hole-Excel-Services.jpg 668 1000 Admin_ABC http://www.abcindianakentucky.org/wp-content/uploads/2016/02/New-ABC-indiana-logo-with-glow-300x96.png Admin_ABC2018-10-24 05:13:512018-10-24 05:16:372018 Award Winner - Excel Services, Inc.
2018 Award Winner – Gaylor Electric Inc.
http://www.abcindianakentucky.org/wp-content/uploads/2018/10/IKEA-Gaylor.jpg 575 1024 Admin_ABC http://www.abcindianakentucky.org/wp-content/uploads/2016/02/New-ABC-indiana-logo-with-glow-300x96.png Admin_ABC2018-10-24 04:57:452018-10-24 05:12:112018 Award Winner - Gaylor Electric Inc.
2018 Award Winner – Green Mechanical Construction, Inc.
http://www.abcindianakentucky.org/wp-content/uploads/2018/10/Wilson-County-Green-Mechanical.jpg 683 1024 Admin_ABC http://www.abcindianakentucky.org/wp-content/uploads/2016/02/New-ABC-indiana-logo-with-glow-300x96.png Admin_ABC2018-10-23 22:54:302018-10-23 23:02:312018 Award Winner - Green Mechanical Construction, Inc.